November 1, 2013 – A Delta Airlines pilot, Michael James Pascal, 45 has been charged with sexual assault of an unaccompanied 14-year-old girl while onboard Flight 855, a flight from Detroit, Michigan to Salt Lake City, Utah. Pascal who was a non-revenue ticketed passenger was returning home after piloting an early morning flight from Salt Lake City to Detroit was seated in seat 44E a middle seat next to the minor 44E a window seat. The minor reported while seated, before takeoff Pascal questioned her about her injured foot and assisted her in obtaining a blanket from a flight attendant. The minor placed the red blanket over herself, placed the armrest down "I made sure I had the armrest down because I usually feel uncomfortable when people get too close to me". After takeoff the minor fell asleep with her feet on her seat and her legs against her chest. Sometime later during the flight the teen was awakened by the assault. The teen alleges she awoken to find her armrest in the upright position, Pascal hand on her buttocks and he was leaning on her with his eyes opened, "he was clearly awake". The minor struck Pascal in the right arm and removed his hand. She further stated that’s when Pascal stated "I'm sorry I'm sorry I was asleep, I have to use the bathroom". At which pilot Pascal then left his seat and went to the men’s room. The minor then pressed the flight attendant call button. However, before an attendant could respond Pascal had retuned back to his seat. At which time Pascal apologized again and stated he was sleeping. The minor stated to Pascal that’s alright I have to go and sought out a flight attendant. The minor was placed in the rear most row seat. The minor further reported on the remainder of the flight Pascal continued to look at her in an "annoyed manner". 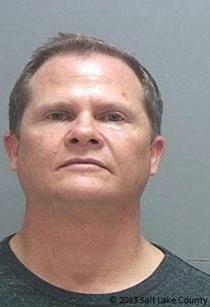 The flight crew contacted airport police, who met the flight upon arrival in Salt Lake City. Pascal was interview by the FBI in which he explained that the passenger seated next to him was taking more seat space and because the minor on his opposite side was smaller and not taking as much room in her seat he raised the armrest and moved over. He stated he then fell asleep with his hands in his lap. He recalls being awakened when he was struck in the elbow by the minor at which point he asked the minor "what the hell are you doing"? Pascal further stated when he was awakened he got up to use the restroom. When he returned he said he had apologized to the minor for falling asleep and leaning on her. Pascal further stated the minor said she needed to use the restroom and left her seat. Pascal also stated he believes that it may be possible for his hand may have fallen in the minors seat while he was asleep, however he does not "recall" where.